Twitter isn’t working on your iPhone or iPad. You’re frustrated as you can’t tweet your heart out. 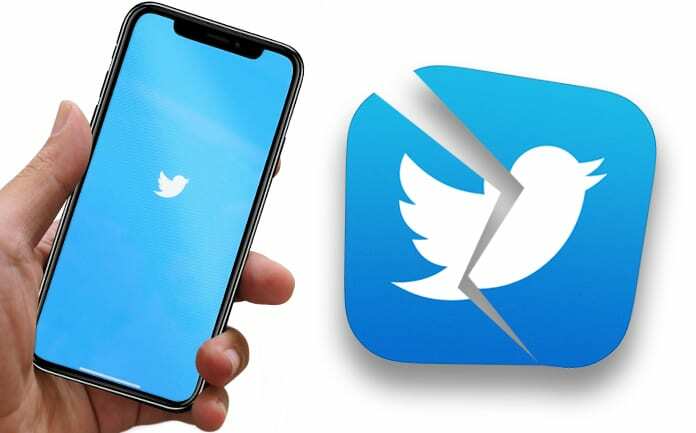 This post goes in depth about why Twitter not working on iPhone or iPad and how you can address the issue once and forever. Well, we can’t give an exact reasoning for your case, it could be a potential hardware problem or an issue with an app itself. Below we’ve addressed each potential cause step by step and also highlighted what you can do in each scenario to fix the problem for good. Doing so will give a fresh start to each app. We recommend closing out of all applications, not just the Twitter iPhone app. It could be that another application has crashed in the background, and it’s the reason why Twitter app doesn’t load properly. 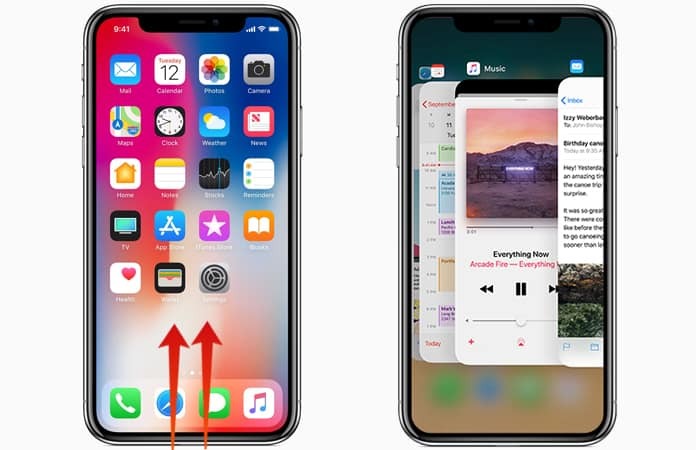 To close out every application, launch the App Switcher by “double-tapping Home” button – you’ll see all apps currently functioning on your device. To close out from an application, use a finger to swipe up on an application until it no longer shows in the App Switcher. When the App Switcher just displays the Home Screen, it means all apps are closed. By the way, you can close two apps together by using two fingers to swipe up both apps together. Application developers often release updates for their apps to resolve security bugs, integrate new features, and address software glitches. It could be that the latest version of the Twitter app isn’t installed on your handset. 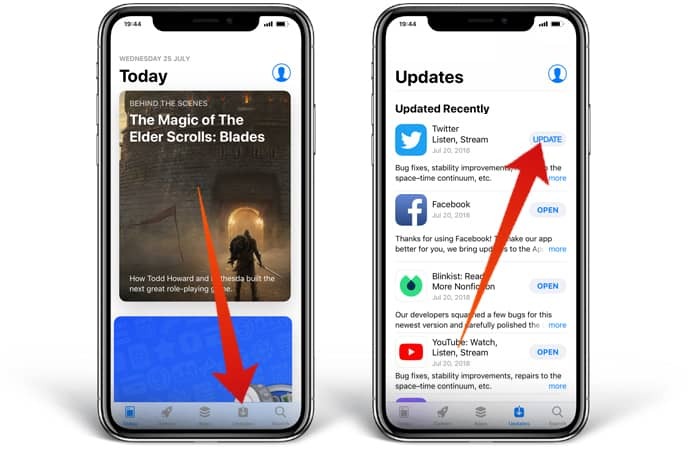 To see if there’s an update available, launch the App Store, tap “Updates” in the lower right-hand corner of the screen, and see what pending updates are available. Tap the blue “Update” icon to the right of the app if there’s one available for Twitter. 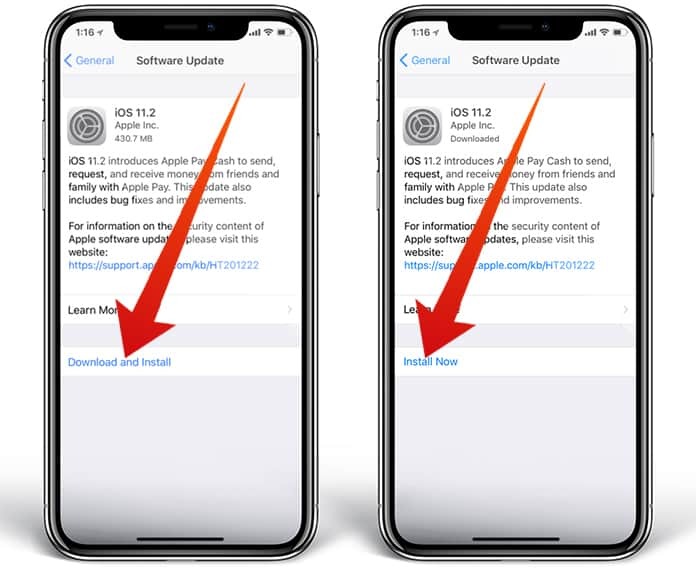 If multiple updates are available on your handset, you can tap “Update All” in the screen’s right hand corner – and all apps will get updated (though it happens one by one). When Twitter consistently fails to work on your handset, just uninstall it, then reinstall it. Uninstalling it would erase all the data saved through Twitter on your iDevice. Hence, if the app had a corrupted software saved, that’d too be removed. To uninstall it, press and hold the Twitter app icon until all apps start shaking. Then a little “x” icon will show on the top left corner of most apps. Tap the “x” on the Twitter app and choose “Delete” when the iPhone prompts you to. For reinstallation, go to the App Store and type “Twitter” in the search field. Then tap “Get” > “Install” to reinstall the Twitter application. Since the app was previously installed, you can see an icon that will show as a cloud with a pointed down arrow. Tap it to start the app installation. After the installation open the app and check if it’s working. Twitter not working on iPhone or iPad again? Try the next solutions. Will Your Twitter Account Get Deleted Upon Uninstallation? There’s no reason to worry – your Twitter account won’t get deleted if the app is removed from your iDevice. However, you’ll have to log in once again when you reinstall Twitter, so make sure you’re aware of the password. Just like app developers release updates for their apps, Apple often releases software updates for iOS. If the most recent version of iOS isn’t installed on your handset, your iDevice may experience specific software issues that could be addressed by updating to the most recent iOS version. To see if an update is available for iOS on your iDevice, launch “Settings” and tap “General > Software Update”. If you see an update, tap “Download and Install”. Ensure that your iDevice is connected with a power source or has more than half battery, otherwise the update won’t start. If the recent version of iOS app is already installed on your device, you’ll see the following message “Your software is up to date” on the screen. If you followed all the above mentioned steps, and WiFi still didn’t function on your handset, it’s time to move to the next section of this guide to diagnose the connection of WiFi. It could be that your WiFi connection is the reason why Twitter not working on iPhone, iPad or iPod touch. Switching WiFi off and on might fix issues that could have been there when you first connected to WiFi. In some instances, a minor software glitch could occur when you attempt to connect your handset to WiFi, which may cause the device to malfunction if you attempt to do something on the web. 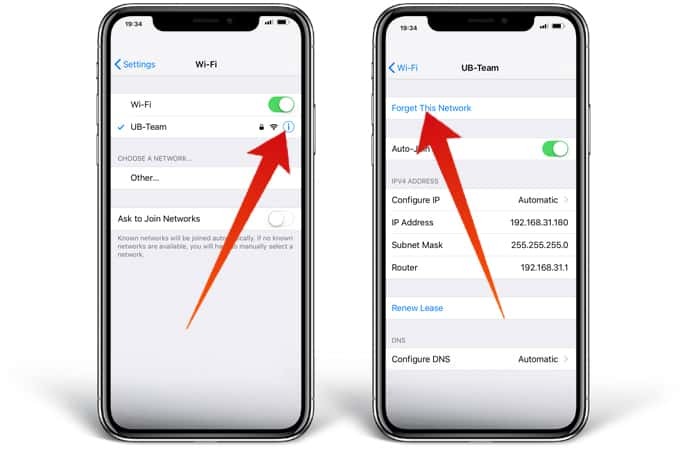 One of the quickest ways to switch WiFI off and turn it on again is in the Control Center, which can be launched by swiping up from the screen’s bottom on your iDevice. See the WiFi icon – if it’s white inside the blue circle, it means it’s active. To switch it off, tap the scroll. When the icon inside the gray circle is black, it means the WiFi is off. Tap it again to turn it on. You can also switch off WiFi by launching “Settings” and tapping “WiFi”l. Besides WiFi, there’ll be a small switch that will go green if the WiFi is active. To switch it off, tap the switch – the switch will be gray when the WiFi is off. Enable it again by tapping the switch once again. 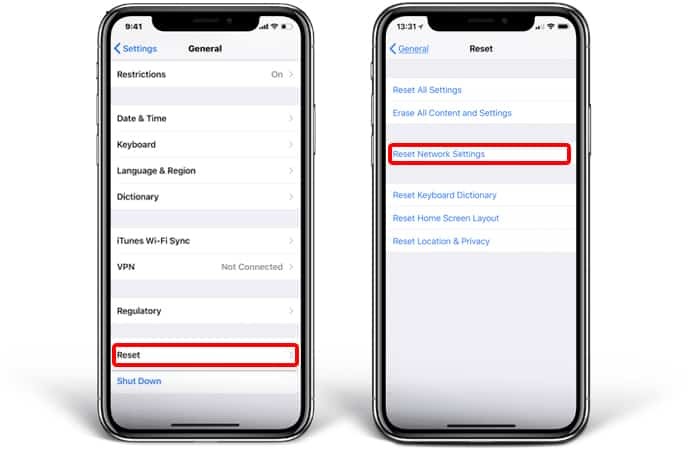 In some instances, the iDevice might only have problems connecting with your WiFi network particularly, which means there is an issue with your wireless router, not the device. To see if it’s the case, connect to another network. If you see that Twitter doesn’t open when the device is connected to your home network, the problem is probably happening because of the router. Switch the router off and then turn it back on. Get in touch with your internet provider if the problem continues to happen. When you connect your WiFi network to an iPhone for the first time, the device remembers how you connected to it. However, if the saved data gets outdated, it could result in connectivity problems. It’s best to instruct the device to forget the WiFi network in a case like this. To forget WiFi, launch Settings and tap “WiFi” besides the WiFi network you want the iPhone to forget, tap “more information”, and then select Forget This Network. Once you’ve forgotten the WiFi network, launch “Settings”, and tap “WiFi” one more time. Tap on the WiFi network you asked iPhone to forget to reconnect to it. As a final step, we recommend to Reset Network Settings if Twitter app not working on your iPad or iPhone. This will, however, erase all settings for Bluetooth, VPN and WiFi. It can be extremely challenging to track down the exact source of software problem on your iDevice, so let us erase all the network settings that are stored on your handset. For Resetting Network Settings on your iDevice, launch “Settings” > General > Reset. Once that’s done, choose “Reset Network Settings” and enter your passcode. When you’re once again prompted, tap “Reset Network Settings” to launch the reset. When the reset completes, your iPad or iPhone should reboot. Once in a while, Twitter’s servers crash, or their maintenance team performs routine maintenance to improve their app and servers for millions of people around the world. If Twitter doesn’t function on your handset, perform a quick “Google search” for Twitter server status to see if other people are experiencing the same issue. If you see several reports about the Twitter network being down, it’s highly certain that they’re performing routine maintenance and that Twitter will be active again in while. As we mentioned earlier, there’s a tiny chance that your device has a hardware issue. iDevices have a tiny antenna that allows them to connect with WiFi networks, as well as pair Bluetooth gadgets. If you’re experiencing either or both issues again and again, there could be a hardware problem with the antenna. To this end, we recommend setting an appointment at your local Apple Store with the folks over at the Genius bar. They’ll help you identify whether or not you need a repair. Twitter Not Working Issue Resolved? You’ve successfully figured out why Twitter wasn’t working on your iDevice and you’ve successfully sorted the issue. Now that Twitter is working again, we hope you’ll tell your friends and family about how to solve the Twitter problem on an iPad or iPhone. If you have any additional questions, feel free to leave comments.